Are you looking for the most affordable luxury cars for 2016? No worries! Here, in this article, I’m going to enlist the Editor’s Choice badge, so you will know that I reflect on the best, yet affordable luxury cars of this year. No matter you want to buy the best entry, mid or full-size luxury car, we have got you covered. There was a time when BMW 3-series were believed to be a standard for all sports sedans. However, in today’s generation, non-negotiated tactility has been softened to some extent. 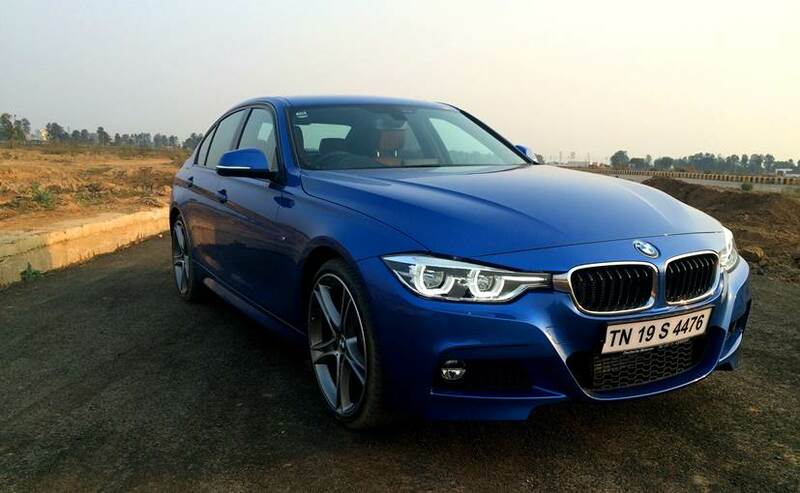 Despite the fact that, the showrooms are still swamped with choices, such as the BMW 3-series which provide five different engine options including plug-in hybrid or turbodiesel, a 6-speed manual or 2-speed automatic transmission with both rear or all wheel drive options. It is available in 3 body styles, which is a wagon, sedan or a five-door Gran Turismo back door. Though they lack the pedigree of European competitors, the Cadillac ATS makes up for this with its quirky styling and performance features. It has a 202 horsepower, 2.5 litres 4, 8 speed automatic or rear drive as standard, 272 horsepower 2.0-liter turbo 4 and 335 horsepower 3.6 litre V6 with all wheel drive. It also features a hovering chassis and a heavy steering, which makes the Cadillac a frivolous cohort. If you’re a discerning driver, the Audi A6 is undoubtedly a well-tailored option. It features a base Powertrain of 252 horsepower 2.0-litre turbo 4, 7-speed automatic with front drive and 8-speed automatic with all-wheel drive, which is an option. It also has a supercharged V6 3.0 litre, all wheel drive option. On the other hand, 7-inch infotainment system, which comes as standard. Other optional tech features include; Night vision, Android Auto, Apple Car Play, Auto emergency brake system and adaptive cruise control. Mercedes-Benz E-Class is one of the best luxury cars, which caters to those who would want to drift along in the lap of sumptuousness. It has extremely comfortable and quiet cabin, featuring a 12.4-inch infotainment screen with both Android Auto and Apple Car Play options. It has a 241 horsepower 2.0-litre turbo 4-cylinder that provides sufficient power together with the 9-speed automatic with both rear and all wheel drive. The safety technology includes the auto emergency brake system and a lane-keeping assist along with an optional feature of semi-autonomous drive mode. Mercedes parts are easily available. Now Comes the Audi A3; which bundles up everything we all would love to see in this super luxury car. Overall, it’s an excellent package to handle with. It offers a precise steering, compose ride, with superb fit and finish. Audi A3 is available in 4 door sedan and two door soft top convertible models. A 220 horsepower, 2.0 litre turbocharged 4-cylinder and 6-speed auto drive with both front or all wheel drive. A 10 speaker audio and a backup camera come as standard. Other optional features include; an infotainment system with Apple Car Play, adaptive cruise control and Android auto. Land Rover — it’s the British car brand with its headquarters in Warwickshire, United Kingdom. It is owned by the Tata Motors (an Indian company), making part of their Jaguar Land Rover (JLR) group. The second generation Land Rover Freelander was first sold in the U.S. in 2007 as the LR2. The next version launched in 2008 is LR2 HSE with 19-inch wheels and side trim. It features a 3.2 litre inline 6-cylinder engine, which produces 230 horsepower as standard, along with all-wheel drive and 6-speed auto transmission. Other features include touch navigation screen options and an Alpine-440 watt 14 speaker, adaptive front-lighting, bi-xenon headlights as well as the exterior mirror and puddle lamps.